Two Tone: Main color: Please refer to all colors for Caroline Sequin Lace. Bodice inside color: Latte (LT) only. Solid: Please refer to all colors for Caroline Sequin Lace. 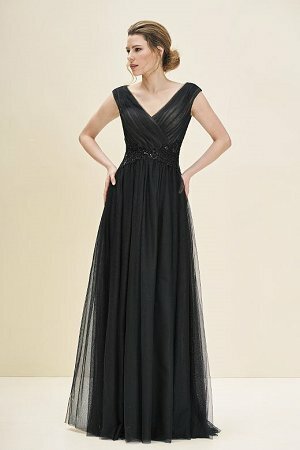 Portrait neckline dress with detailed gathering on the netting, flare skirt and Caroline sequin lace detail on the waist. Beautiful lace bodice with layers of gathered netting to complete the look.